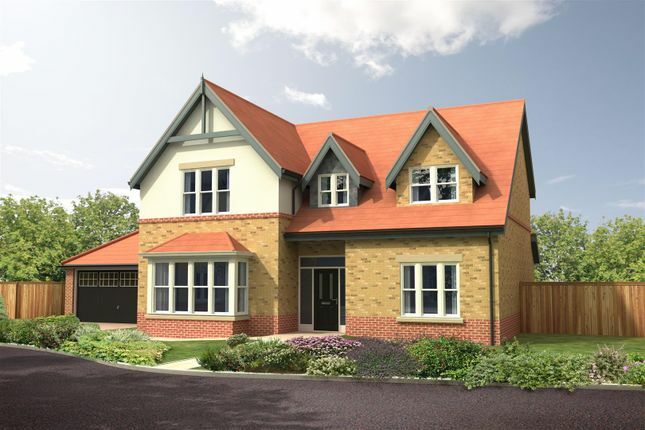 The Milbourne is a luxury five bedroom detached house with detached double garage. With its central staircase the hall leads to a square shaped lounge, a large dining room, a study, a large kitchen/family room and a separate utility room. The landing is vaulted over the entrance hall which creates a sense of light and space. The bedrooms are all of a generous size with two en-suite shower rooms and a family bathroom. 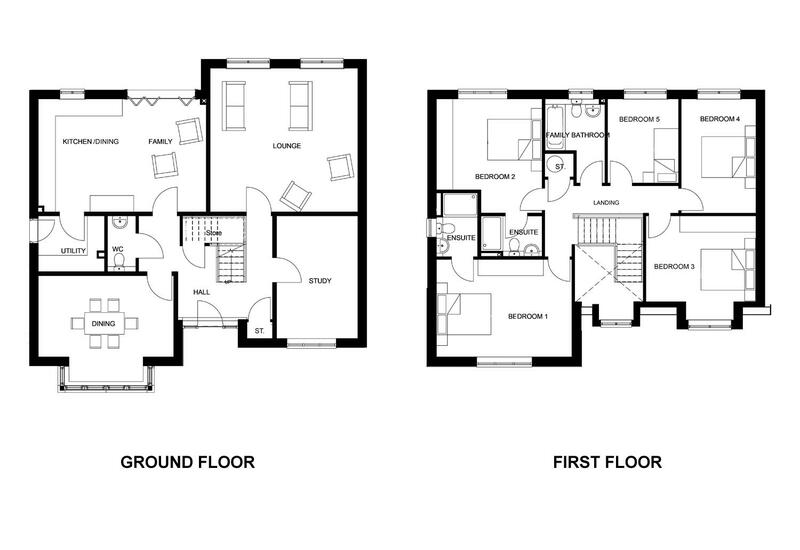 The Milbourne is a very well balanced double fronted family home offering space and attractive features.